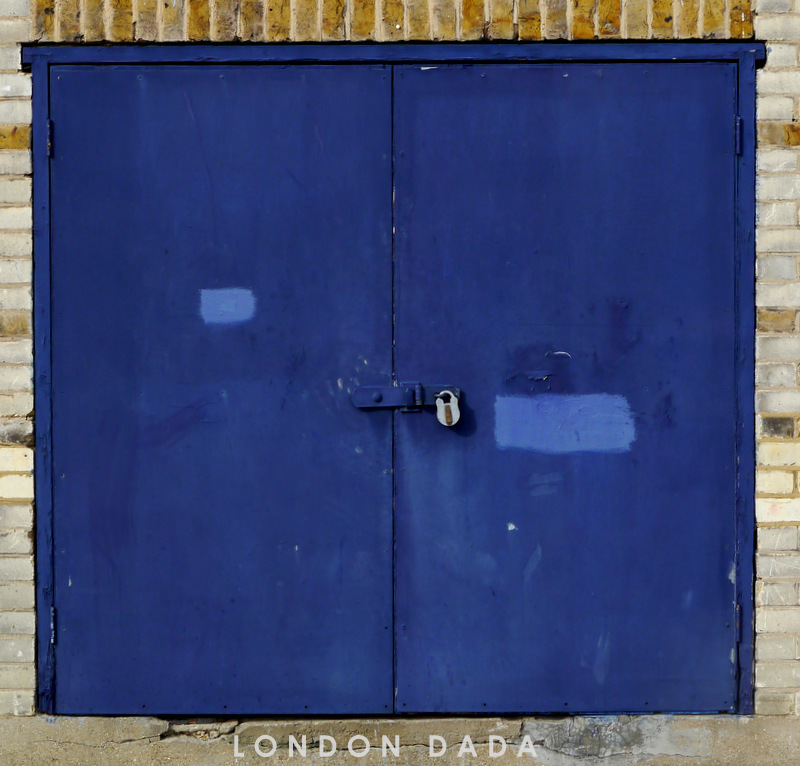 As London Dada alone in the art world has been highlighting over the past 9 years, Britain is a highly discriminatory employment fascist state in job opportunity lockdown. 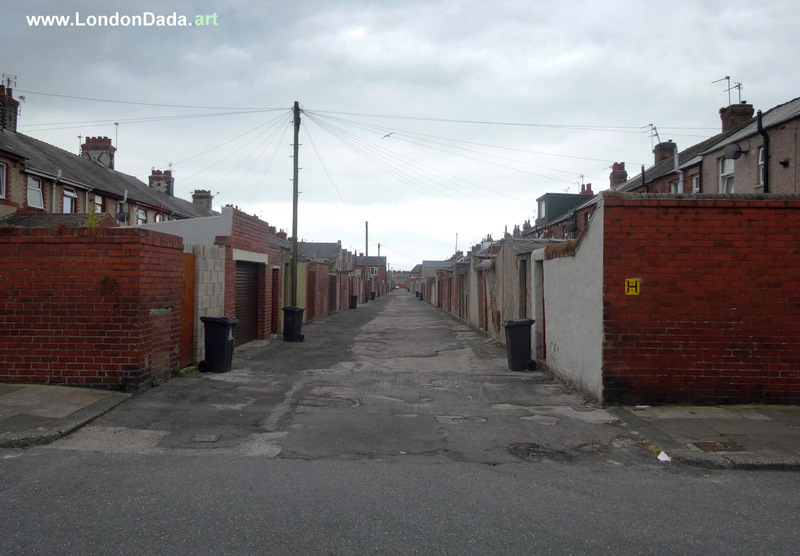 While only 1% of the adult population and 7% of graduates have attended private fee-paying schools, on average well over half of top jobs in Banking & Finance, Media, Law, PLCs and Politics in the UK are filled by this Oxbridge etc-educated elite, creating and maintaining a time-honoured and deeply-entrenched network of cronyism and privilege that controls all the serious power and wields the major influence in this, the most class-divided nation on earth. 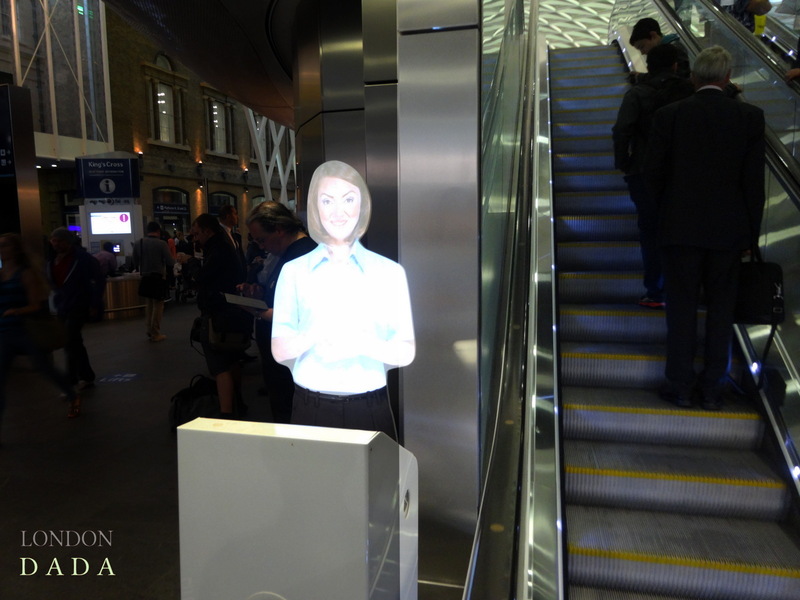 perspex cut-out onto which is projected a hologram of a smiling, “talking ” hospitality lady, giving a good impression of unconditional helpfulness… on a mind-numbing 10 second audio loop requesting the public not to take heavy bags onto the escalator. Latest in the reincarnation theme series. 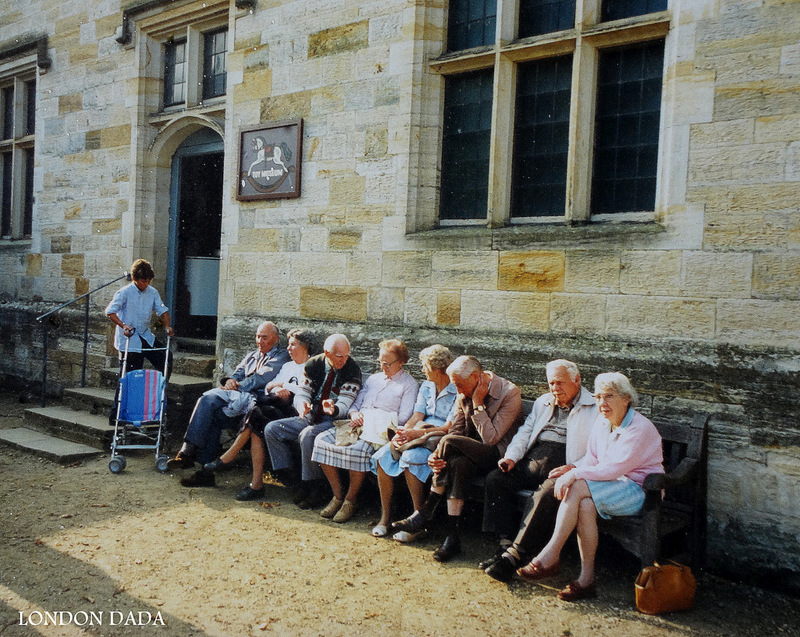 Scan of 35mm film capture of retired people ( most of whom now probably deceased – and the child into his 40s); intriguigly seated outside the toy museum at Hever Castle, Kent. From 1988. 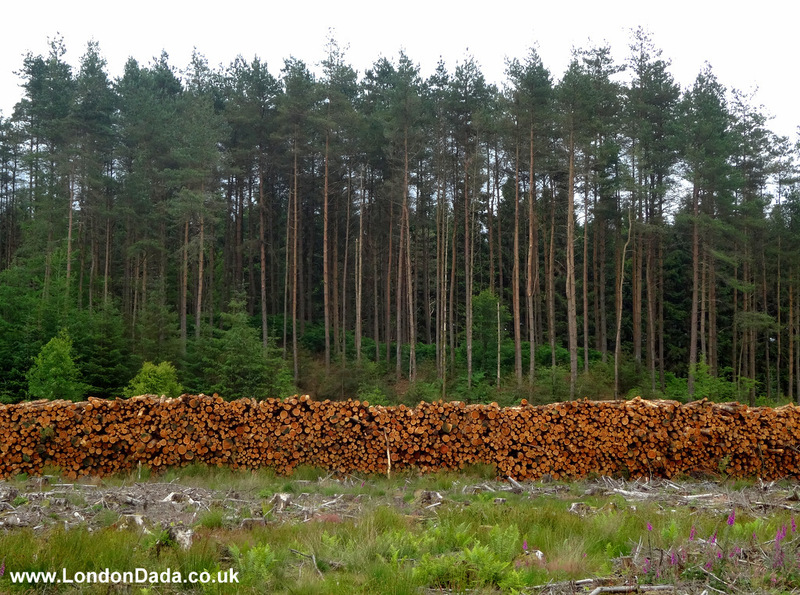 Commercial pine logging ground, Galloway Forest Park SW Scotland. 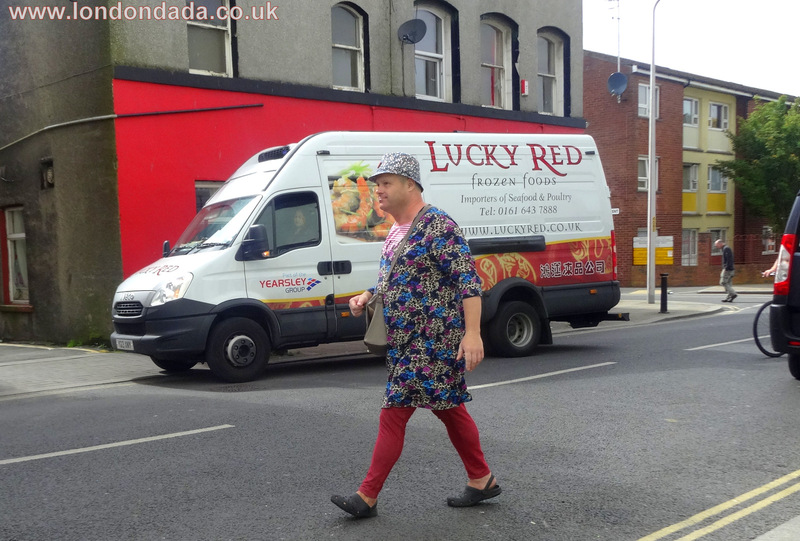 Latest in the long-running series ‘ They who have seen the light ‘, celebrating conscious or unconscious (cross) dressing eccentric fearlessly striding out.